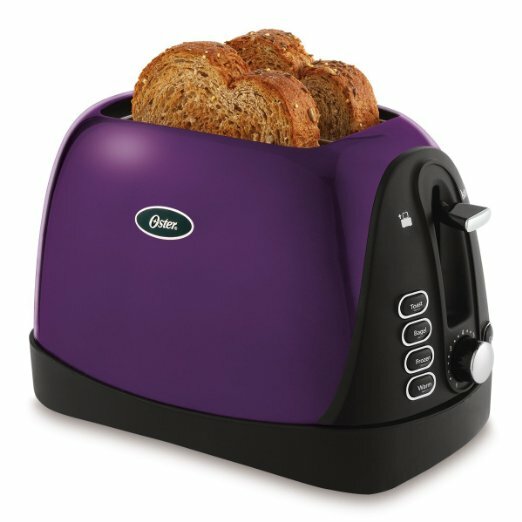 This 2-slice Oster Jelly Bean Purple Toaster is equipped to toast breads, bagels and more to your taste. Advanced toasting technology and settings from light to dark provide consistent results every time. $34.99. Buy here. 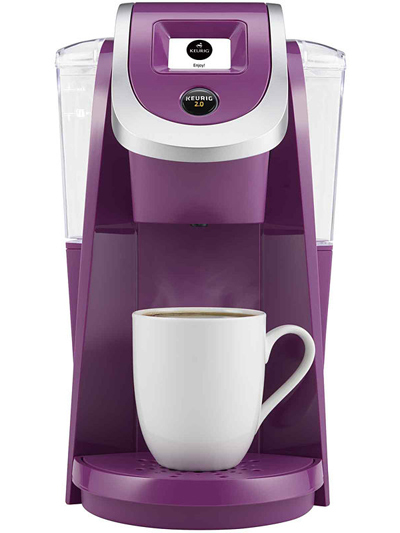 This Keurig K250 2.0 Compact Brewer features revolutionary technology designed to read the lid of each K-Cup or K-Carafe pack to brew the perfect beverage every time—all at the touch of a button. Brew a piping hot 4-cup carafe with the same ease and convenience of a single-serve cup. 40-ounce water reservoir. Includes BONUS Stainless Steel Carafe. $175 Sale $119.99. Buy here. 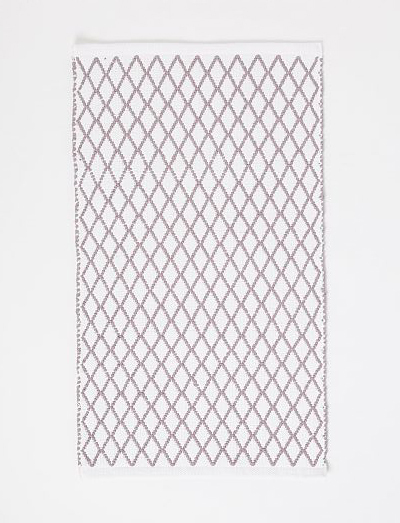 Made of pure cotton, the Diamond Flat Weave Bath Mat is covered with a geometric pattern that makes a statement in any bathroom. $29. Buy here. 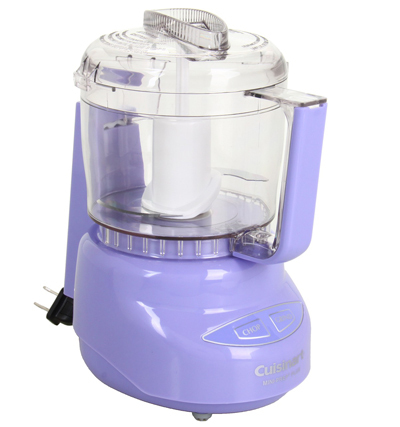 Chop herbs, make breadcrumbs and grind cheese easily with the Cuisinart Mini Prep Plus Processor, which works great for hard and soft foods alike. Great for making small batches of baby food, too. $39.95. Free shipping. Buy here.